Custom-Writing.org is ready to answer all of these questions. With the help of this guide, you’ll know the primary principles of writing any student paper. What words come to mind when you hear college or university? We bet that it’s words like assignment, essay, or writing. Studying is always connected with academic papers. And these papers are boring, tiresome, and difficult—if you don’t know how to organize them correctly. Here are some useful programs for organizing your papers and sources. All of them are comfortable to use and offer real writing help. Paperpile allows you to create the best essay by using your own research library. The library you make is confidential and available only to people on your reading list. A great feature of this software is that you can search anything while you write from such trustworthy sources as Google Scholar. Paperpile is also optimized for your browser. While writing a paper online, you can add any source immediately! You will discover how pleasant it is to be an essay writer when you use ReadCube. It’s an easy and useful library for all your papers. Just upload all of the files you have for your essay, and ReadCube will analyze them and identify the sources. This makes essay paper writing three times as fast. Why? Because after the sources have been identified, you can easily find any information you need! Highlight the quotations you want to use, and leave useful comments for yourself to check out later. ReadCube will also learn more about you depending on how much time you spend in it. Over time, it will give you recommendations based on the resources you add. Mendeley is another service that offers help for essay writing. It’s an innovative way to escape the chaos of research papers and organize everything in one place. It offers an easy-to-manage library that is up to you to fill with useful resources. Every file that goes into the library is available from your computer and smartphone at the same time. Need help with writing? Mendeley also hosts a global community of researchers in every scientific field! You can join these communities or follow their researchers and always be the first to hear groundbreaking news. Every college essay writer knows one thing: spending hours on research is reality. And sometimes there is no way out—only infinite searching and reading through hundreds of sources. But technology never stops. And now we have many tools available so that students can work just as well as a standard research paper company. Custom-writing.org introduces innovative tools and services for the best essay research. Use them, and you’ll spend less time searching for evidence for your papers. One of the best databases for research is Google Scholar. It’s an easy-to-use website that archives thousands of scientific articles. With Google Scholar, you’ll have no problem finding the newest materials on any topic. Just type in a keyword, and read all the recent information! This essay writing tool always helps students find the newest information. What’s the first thing to do when writing an essay? You have to find an idea for your paper. The most interesting way to do this is to use InstaGrok. Put in any keyword connected with your topic, and you’ll instantly get primary ideas and main facts about the subject. Data Elixir is a useful service for information searching. Actually, you don’t even need to search anything. Just subscribe to a newsletter, and get help for writing every day by email. Data Elixir shares news in various spheres—linguistics, technology, medicine, sociology, and more. It’s useful for any English essay writer who wants to get trustworthy information on the topic without spending hours surfing the Internet. Literacy Tool helps users discover issues online. With this website, essay writing on challenging topics becomes easy and fast. While surfing the Internet, just double-click on any interesting word, and the service will show you scientific resources connected with that word. It’s also a great source of paper writing assistance because you can sort the information you find into lists and boards. What are the basics of great essay writing? The answer is simple: an easy-to-follow structure. In this section, you’ll find tools that offer paper help in planning your outline and finding ideas for a better structure. Thesis Generator asks you several questions that will allow you to explore the topic thoroughly. After that, you can choose one of the variants for your college essay thesis. This website also structures a possible outline for you, including an introduction, three body paragraphs, and a conclusion. If you like to visualize information, Essay Map is the perfect tool to use for your academic writing. The map is divided into eight parts. The outline creator asks you to fill in as many parts as possible, according to specific questions. At the end, you can print your results or save them as a PDF. The first couple of lines are always the most difficult part of any essay—especially if you’re a perfectionist. To get started, many teachers and copywriters will advise you to just write something without editing it. But this task is more difficult than you might think! BlindWrite was developed for students and writers to complete papers without editing them. The method is easy—just enter the topic and decide how many minutes you’re willing to work. Then, as you create an essay, every letter you type is blurred. In five minutes, the text will become visible, and we can make any edits we want. If you’re like many students, you have probably thought, “I wonder how to make my sentences better.” And the answer is grammar! In fact, the main reason why students get low grades is poor grammar. 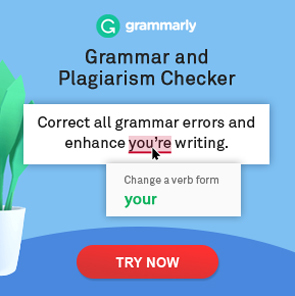 Although you can find a lot of materials on the most common mistakes in academic writing, another way to improve the quality of your text is to use a grammar-checking service. Such help with essay writing will allow you to make huge progress in proofreading. First, put your text in a new document. Then choose your type of writing. Is it a creative article? Or an academic paper? Your score, as well as the mistakes that the service finds, will depend on the type of writing you choose. Ginger Software is another sentence changing tool. Its goal is to find mistakes and typos in your paper. All you have to do when the service finishes its work is to fix the mistakes it detected. This software is free to download, but you can also try its benefits out online. Essay writing online becomes way easier with help like this! Get help when writing an essay by using Paper Rater. Wondering about the main benefit of this essay tool? It will grade you even stricter than your professor! Just put your essay in the field, choose your level of study, and click “Get Report.” Then, Paper Rater will analyze your paper thoroughly. You will get feedback on grammar, style, structure, word choice, and so on. And, of course, you will get a grade! These and many other indicators are free for you to use. But for long papers, you may need to purchase a Premium account. If you hand in a paper with poor grammar, you’ll get a low grade. But what if your paper isn’t original? The worst—you could be expelled. It’s important to know how to rewrite a sentence to make it original. That’s why you should use synonyms more often and find some paraphrasing word generators. But, first of all—use a plagiarism detection tool. If you’re looking for plagiarism detection software, try CopyLeaks. In their cloud, there are billions of web pages available to scan. And for a plagiarism tool, that’s the most important thing—the bigger the database, the more precise results you get. CopyLeaks helps you paraphrase your essay, regardless of what format you choose. This service scans PDF, RTF, DOC, and much more. Another helpful assistant for rewording your paper is PlagScan. It also boasts an enormous database (with billions of internet pages). But they have another significant feature that is useful for any student: PlagScan allows you to store your documents online. Moreover, the service guarantees the privacy of your texts. No one except you will ever see them. PlagScan is a software for writing papers that are 100% original. It’s used not only for academic writing but also for business purposes. Quetext is a free software program that offers help in English writing. This service finds correlations between your document and existing internet pages. With a PRO account, you can upload many documents simultaneously in one of many available formats. You can also check papers up to 50 pages long. Every match is shown in a report. After this, you can either rewrite the text yourself or use a paraphrasing tool. Every publishing company has its own editors. Why? Because proofreading is difficult and time-consuming work, and when writing a thesis, essay, or report, you have to do it all on your own. That’s why you may need some help in writing. It’s always interesting to know how other people see your writing. Even if it has perfect grammar and punctuation, a precise structure, and interesting arguments, it still can be boring. But how would you know? Is it necessary to ask your friends and relatives to grade your papers? Hemingway App is an innovative way of paraphrasing online for free. It will check the readability of your paper by revealing lengthy sentences, unnecessary adverbs, and complicated words. This is another fantastic service to check your document’s readability. Just click “Score text” and enter your text. Then Readable will generate a report on how easy it is to read. This report has several categories. One of them is the Flesch-Kincaid Grade Level. If you score 8 points or below, it means that more than 80% of readers will be able to understand your paper. This is part of the report we got. All of the sentences that are too complicated are underlined in the text, so you can change them if you want. Unfortunately, without a PRO account, you have only three trial uses per day. But usually, these trials are enough to complete one essay. Want to proofread your paper? Of course, there are specialists in this field, but their services are expensive, while you can use After the Deadline for free. After the Deadline has a great reword sentences generator. By using this tool, you’ll be able to change text online and make it sound right. To avoid plagiarism, you often need to change paragraph wording. With Paraphrasing Tool, this task becomes unbelievably easy. Just put in any piece of text you need to paraphrase, and you’ll get immediate results. Almost every word has changed! Instead of rewriting sentences on your own, use this tool, and then correct the results if you need to. References are the last thing you need to complete a paper. But for thousands of students, this last step turns out to be a challenging, time-consuming, and frustrating task. Because every college or university insists on a specific citation style, such as MLA, APA, Chicago, and so on. Citing text online is easier than formatting it on your own. That’s why we found some useful tools to help you with this final to-do. With Citavi, it’s easy to control and manage all of your sources. Just download the files you’ll use for your paper writing, and you’ll always have them in one place. Then, any piece of text you find on the Internet can be added to your citations. For this feature, add the Citavi plugin to your browser. Citavi allows you to structure your citations, which is a great variant of creating an outline—by adding and classifying the quotes you want to use, you’ll develop an outline without even knowing it! With this tool, you can choose from the four most popular citation styles to format your bibliography. Change text online depending on what source you’re using—books, journals, websites, and more. You can choose another citation style before you download a reference list—MLA, APA, Chicago, and Turabian styles are all available. BibMe also allows you to add annotations to your citations. To remove plagiarism, use the free plagiarism detection software! Now you’re ready to create an essay that your readers will adore. With the help of these essay tools, writing will become a pleasant and interesting hobby. Which of these tools do you like the most? Leave a comment below! Such an enormous and throughout article! Thank you for your kind words, Igor!